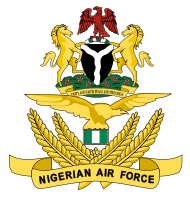 The Nigerian Air force Past Questions is a compilation of questions from previous examinations. It is one useful tool that can help candidates achieve their goal. This past questions is not just a past question, but it is complemented with it answers too. This section is made up of 20 questions and candidates will be tested on simple topics like: Simple interest, ratio, percentage, probability,, sets, age and work, statistics,area and volumes, profits and loss, conversions, simple and compound interest as well as other simple mathematical questions. Just get it and take a good look at it. English Language: This section consist of simple terms in our daily usage suc as: Synonyms and antonyms (opposite and nearest in meaning) and filling the gap questions. There are usually 20 questions in this section. General Knowledge: This section is drawn from different subjects like chemistry. Physics, biology, Nigeria current affairs and history of Nigeria, news as regard Airforce, International organitions such as OPEC, UN, OAU and ECOWAS. The general knowledge is also made of information relates to cscience and technology. These sections usually have 10 questions. NAF questions is Usually 50 questions in total. We have in our custody more than six years of past questions with about 600 questions. Its question usually covers a wide area including the other subjects like chemistry, physics, biology, history of Nigeria, Nigeria current affair, all about Nigerian Airforce, World organizations such as OPEC,UN,ECOWAS, OAU as well as knowledge of information technology e.t.c. In all there are usually 10 questions, sometimes even 20 questions. We have more than 15 past questions for you to study. Yes you can get it via your email by notifying us. This past questions will be delivered in a PDF format which is easily accessible and guess what? You can also print it out incase you are not comfortable with the soft copies. The purchased NAF Past Questions and Answers will be uploaded immediately into your email address within the next 24 hours. 100 General Job Interview Questions and Answers for Graduate. 00 General Job Interview Questions… Have you ever had a job interview and wondered what questions you might face? Well, your case is not different from mine because I can remember messing up in one of my important interviews just because I was not prepared for the questions. But I don’t want you to have the feelings I had that day that is why I take my time to publish this article…just for you. The truth is that some interviewers can seriously surprise you with some difficult interview questions that if you go unprepared, you will definitely mess up. The below are some guidelines on how to answer these questions confidently without fear of losing the job. You really don’t have to sound like it’s your cousin that is answering this question for you. You can’t be boring when talking about yourself. You have these four areas to cover, early years (pass by them quickly) then go to education then internship/employment history and then go to your most recent job and focus there. This question usually comes up in the beginning in the form of an introduction. So make it quick, direct and very much short. Interview Question 2: Why did you Leave Your Last Job? Whatever you say, don’t say bad things about your former boss, manager or coworkers. It is not for fear of them knowing, it is because, that even if they were that horrible, it shows you take things too personally and have a hard time letting go. It also shows you didn’t really face your problems in the first job but basically chose the easy way out which is quitting. Need a better answer to this question? : Say things like “They weren’t willing to change or adapt to the more recent technologies and ideas” or “I didn’t really see myself still working there in five years”. Interview Question 3: Why Should I Hire You? This question is secretly about the job description. All you need to do is tie in the job description (do your homework) with your actual skills and knowledge that make it critical for you to be chosen. Use experiences from college, internships or past jobs to show how these skills were critical in your tasks back then. They should hire you because you can do that particular job not because you are great as an overall employee. Show your uniqueness. It is not a secret if you got fired or couldn’t find a suitable job after you quit the last one. Unemployment exists and your recruiter knows about it. Be honest, say you spent that time productively caring for your family, reading, taking online courses or even working freelance. They don’t care about actual employment records; no one wants to hire someone who just spent their unemployed time on the couch in front of the TV in their Pajamas. This one is really tough only if you are not that good at what you do. All you have to do is use simple terms to explain something probably very complicated. Why? Because if you are as good as you say you are in your resume, then you know the field inside out and can explain it without buzzwords or difficult terms. This question is to show who is really an expert at what they do or did a quick two-minute internet search on the job description on their phone in the waiting room. Do your homework. Interview Question 6: What if I reject all these new ideas? Perfect Answer: “I am sure you have very great ideas and I would appreciate it if you explain the reasons behind the rejection so I continue to learn”. See what we did there? You basically show you are humble and always willing to learn. Two great qualities demonstrated in one sentence. Interview Question 7: Have you ever had a conflict with a boss? Don’t say no. We have all had conflicts with bosses/managers. Just say “I remember one or two conflicts. Nothing big. We had disagreements and I always worked hard to not take it personally and worked on listening to the other person’s point of view and try to find mutual ground for the benefit of the company. Interview Question 8: What is your greatest weakness? Please don’t say binge-watching soap operas. That is not the point behind this question. You will find people advising you to take one point of strength in your character and saying it is a weakness. Also wrong because it shows you are deceiving the interviewer. Instead, say something like “I have had trouble in the past with planning and punctuality. However, I’m now working on fixing this with this new app that makes sure I never miss an appointment and arrive on time.” Then show them the actual app on your phone. You are human, you make mistakes and you have weaknesses. The interviewer knows that. He/She will appreciate it when you talk about a true weakness and show what you are doing to overcome it. Interview Question 9: But you studied Literature in College, how would I tell if you are fit for a marketing job? Actually, it is an excellent interview question. So start by saying just that. You can say what you learned from your college major as an overall. Maybe literature taught you to be really attentive to detail or appreciate the tone of writing which is a great part of marketing strategies and implementation. Then maybe you found a passion for marketing and studied it and interned and did a lot of hard work to build your knowledge and experience in the field and that is why you are fit for a marketing job. Sway the question your way. Interview Question 10: You moved between three jobs in a year. Why should I hire you? “Well, I may have left three jobs in a year. But I would rather not be employed than be employed at a place where I don’t have room to grow, show my ideas and create some real change and take a company to the next level. The worst thing at a job is the part of knowing you are not going anywhere or worse, you are not taking the company anywhere. Then start talking some brilliant ideas for that department. See how you took a very negative question in a very positive place? Interview Question 11: What are your strengths? Be accurate. Choose strengths that you actually possess. Don’t pick an answer that worked for a friend or a family member. Be original. Be Relevant, Use the job description advertised to work for you. Be specific. Don’t say “people skills” but say “persuasive communication.” And Be prepared to demonstrate. Interview Question 12: Why do you want this job? Very simply. Study the job description beforehand, and then show how your skills match; Show your enthusiasm for the job and try to show how you would fit into the workplace culture. Interview Question 13: Where would you like to be in your career five years from now? Recruiting is a very time-consuming and difficult process. The person interviewing you does not want to invest time and effort in hiring and training a person who is already planning to leave for something better as soon as it comes along. This “something” can be a better job, your own business or even marriage. Make your answer truthful, but don’t raise his/her doubts about you actually staying on the job. Interview Question 14: What’s your ideal company? Be sincere. Say “An ideal company for me is a company that values employees and allows them to be themselves and build and share”. Focus on what you can offer and what makes you their ideal employee as well. Interview Question 15: What attracted you to this company? Again and again, do your homework about the company before the interview. Use your information about the company to create phrases about why it is attractive to you. Don’t also forget to tie it in with the industry the company is within. Admire the products and services or a company’s marketing effort for an example. Just show you know the company. Saying it is close to where you live is not a good reason to want a vacancy. Interview Question 16: Why should we hire you? This might sound a lot like question number 1, but in this case, the employer is fetching answers for the entire company not just for his department. This means Choose three to four points about your experience. Highlight your Industry experience, Experience with certain tasks or duties, Technical skills, Soft skills and/or Key accomplishments that benefit the entire company. Interview Question 17: When were you most satisfied with your job? Simple example: “I worked hard to become a marketer and I enjoy putting those skills to work”. It is not about salary, benefits or things to expect from the company. It is about you showing where you shine. Interview Question 18: What can you do for us that other candidates can’t? Try humor. Saying something funny like “Can I interview them first and tell you?” shows you are quick to handle a tough situation and you can think creatively. That is not the answer of course after the laughter says something nice and don‘t trash talk the other candidates. Say something unique about yourself. Interview Question 19: What were the responsibilities of your last position? Don’t lie. They can get the real answer from your previous employer. Be clear, short and focus on your unique skills and tasks. Interview Question 20: Why are you leaving your present job? Don’t say entitled things like “too far”, “the salary is small” or “my boss hates me”. Instead, say you don’t really see your career evolving there and you would rather transfer to a company where you can grow and evolve. Interview Question 21: What do you know about this industry? Well, what do you know about the industry? Do your homework about the company and the industry before you go. Interview Question 22: What do you know about our company? Same as question 21; did you do your research? Interview Question 23: Do you have any questions for me? Rule number one here is to always ask a question. Ask about the company and the challenges you may expect at your job. Maybe there is a special project he/she mentioned, ask about that too. It shows you were listening while he/she was talking. Interview Question 24: Are you willing to relocate? Rule of thumb: don’t promise what you cannot deliver. Either say yes or no and be truthful. If you have family or health issues that prevent you from relocating. State them. Interview Question 25: What was the last project you led, and what was its outcome? This is assuming you said you led a project or you were a team leader. This is where they can see your leading skills. Talk about the challenges and how you faced them and how you led the team from point A to point B. Even if the outcome was a failure or not delivering it on time, admitting it shows character. Interview Question 26: Give me an example of a time that you felt you went above and beyond the call of duty at work. Be a hero if it is the truth. Just go easy on the drama. Be short and to the point. Interview Question 27: Can you describe a time when your work was criticized? Say what you learned from criticism and how it helped you grow. Don’t say your work was never criticized. We all get criticized. Even the person interviewing you was criticized at some point. Interview Question 28: Have you ever been on a team where someone was not pulling their own weight? How did you handle it? Interview Question 29: Tell me about a time when you had to give someone difficult feedback. How did you handle it? Use a case scenario. Say for an example “A team member suddenly started to come in late almost every day and always looked tired and had trouble concentrating. Interview Question 30: What is your greatest failure, and what did you learn from it? Talk in simple points about the situation, your approach to it and the result (Failure). Then say you learned to be more focused and prepared or to strategize priorities. Interview Question 31: How do you handle working with people who annoy you? Interview Question 32: If I were your supervisor and asked you to do something that you disagreed with, what would you do? Interview Question 33: What was the most difficult period in your life, and how did you deal with it? Try not to admit crimes or a huge personal issue. After all, it is work. Skim through the period itself and focus on what you learned. That is what the interviewer is after. Interview Question 34: Give me an example of a time you did something wrong. How did you handle it? “I admitted it. Tried to fix it and when I couldn’t fix it on my own, I asked for help and I completely took responsibility for my mistake. But I learned a lot from that mistake.” Then talk about what you learned. Interview Question 35: Tell me about a time where you had to deal with conflict on the job. Interview Question 36: If you were at a business lunch and you ordered a rare steak and they brought it to you well done, what would you do? Interview Question 37: If you found out your company was doing something against the law, like fraud, what would you do? Your answer could go like this: “I would gather all the information needed to be sure. If the information confirms it then I would express this to my superiors and work on a way to make sure the company is operating legally. Interview Question 38: What assignment was too difficult for you, and how did you resolve the issue? Be truthful. It is okay to say a task or assignment was too hard. Just say you worked hard on studying the background information and asked for help from your coworkers. Interview Question 39: What’s the most difficult decision you’ve made in the last two years and how did you come to that decision? Again, be truthful. Just try to state a professional decision and not a personal decision. They don’t want to learn about you moving out or what happened to you as a child. Demonstrate your courage and ability to handle stress. Interview Question 40: Describe how you would handle a situation if you were required to finish multiple tasks by the end of the day, and there was no conceivable way that you could finish them. “I would talk to my supervisor and ask for help in prioritizing the tasks. If they all need to be done today and there is no way to postpone. Interview Question 41: What salary are you seeking? This is all related to salary negotiations. You should be a master at that after learning from our article on negotiating your salary. You can also ask about the company’s budget or tell the interviewer you expect nothing less of the market’s salary range for your job. Interview Question 42: What’s your salary history? Don’t answer that — your salary history is your own business and nobody else’s. You can, however, start by specifying your salary target. Interview Question 43: If I were to give you this salary you requested but let you write your job description for the next year, what would it say? Have you done your homework? Do you know the job description of this vacancy? If you have, then you will simply say “I will be fully dedicated and committed to exceeding my KPIs, and I would work day and night also to exceed your expectations and requirements.” Be smart and don’t fall for the trap. Interview Question 44: What are you looking for in terms of career development? This is relevant to your field. But to say you would love to grow within the company after acquiring all the pieces of training and knowledge transfer one would expect within the industry. You can make the mood lighter by joking about not expecting to take your manager’s job of course. Interview Question 45: How do you want to improve yourself in the next year? Talk about taking courses, a diploma or even start on your Master’s degree. Just say it will not reflect your dedication to the job and what it requires. Show the tendency to continue learning and improving your career and knowledge. Then ask them if they provide these benefits or support it. Be a self-starter, not just a receiver. Interview Question 46: What kind of goals would you have in mind if you got this job? If you were listening throughout the interview, you will probably know the real reason they are looking to hire someone like you. Maybe a new project, expansion or fixing a current situation. Focus on making that YOUR Goal. Then add a bit about how you would improve the process, build new processes and systems and reach a fantastic milestone. Just choose something you know the company is keen on. NO PERSONAL GOALS. Interview Question 47: If I were to ask your last supervisor to provide you with additional training or exposure, what would she suggest? Whatever you say, don’t be defensive. This is not an attack but it is a question that provokes you to be defensive. When you get asked a question like this, it is important to talk about certain traits and experiences and give a specific area where you need improvements. Interview Question 48: How would you go about establishing your credibility quickly with the team? Then discuss the plan or what you think is best to focus on the beginning. Remember that actions speak louder than words. Interview Question 49: How long will it take for you to make a significant contribution? Start by “I have a plan in order to work efficiently as soon as possible. But, naturally, in the first month, I will be getting everything in order and getting used to the company’s processes and the training required. Interview Question 50: What do you see yourself doing within the first 30 days of this job? Getting the training required and familiarizing you with the company’s products and services in order to serve the organization better is the safest way to go here. Interview Question 51: If selected for this position, can you describe your strategy for the first 90 days? Do you have ideas on how to serve the company not yourself better? Share them when asked this question. Interview Question 52: How would you describe your work style? If you have done your homework, you would know if this company values self-starters or people who follow certain rules and regulations and management styles. Take your lead from the homework. Interview Question 53: What would be your ideal working environment? Same as the previous question; do your homework about their work environment and take queues from that. Ideally, an ideal work environment is that company you are interviewing for, right? Interview Question 54: What do you look for in terms of culture — structured or entrepreneurial? We cannot stress this enough. It is really that simple, you are interviewing there because you want to work there. Which means they are essentially your ideal workspace, describe the company from what you have learned via research. Interview Question 55: Give examples of ideas you’ve had or implemented. 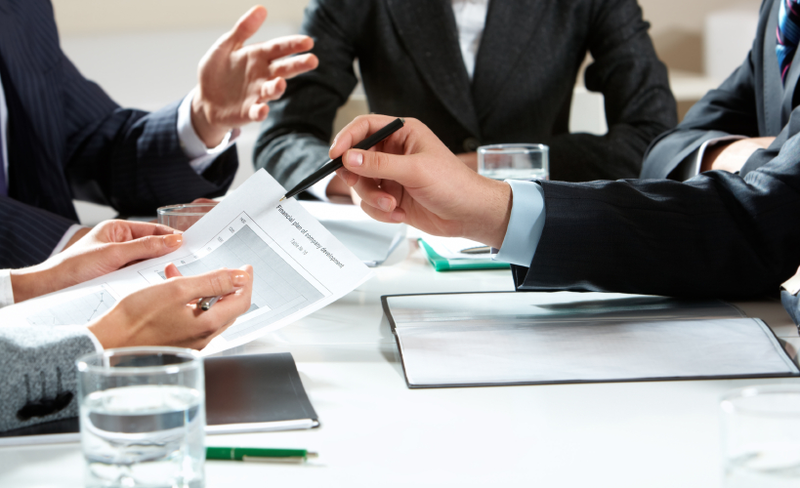 Do just that without conveying possibly confidential information from your previous job. Don’t be a corporate spy. Show your creativity and ability to think outside the box. If you are fresh grad talk about an idea you want to implement for that company. Interview Question 56: What techniques and tools do you use to keep yourself organized? Talk about apps for example. Interview Question 57: If you had to choose one, would you consider yourself a big-picture person or a detail-oriented person? Depends on the job you are applying for, a strategist might want to focus on the big picture while a designer is more into details. Take your queue from the job description. Interview Question 58: Tell me about your proudest achievement. Having a baby isn’t really a professional achievement. Overcoming adversity and working long hours to deliver a successful project is a proud achievement. Interview Question 59: Who was your favorite manager and why? Imagine reviewing your manager, this is what you are asked to do. But do say what you want to copy from that person, maybe he/she was a self-starter, handled pressure well, worked long hours to support the team, etc. Interview Question 60: What do you think of your previous boss? Even if you hate that person or like that person, don’t make it personal. Instead, draw on the positive and negative aspects of that person. We all know that your former boss was horrible but you learned something from it. Interview Question 61: Was there a person in your career who really made a difference? Your interviewer wants to know what motivates you. Understanding what motivates you will give them a bit of insight into what you find important. Having a mentor also shows that you can work well with others. Interview Question 62: What kind of personality do you work best with and why? Be truthful. Don’t be cocky and say you work best with everyone. It is not humanly possible. Interview Question 63: What are you most proud of? Just don’t be too arrogant. Show humility and the desire to create things you are proud of in the new company. Interview Question 64: What do you like to do? Talk about things you can use to make the process better in the new company. If you like chess, it means you like planning. See what we mean? Interview Question 65: What are your lifelong dreams? Your interviewer here isn’t really interested in what you say. The interviewer wants to see how you will respond to this irregular question. It is okay. Talk about your professional dreams. Show that you’re motivated to build your own success. Interview Question 66: What do you ultimately want to become? Never fall into the trap of saying answers you think the interviewer really wants to hear. Even if your life goal will take you away from that company, it is okay. You should not feel this way at all. This is their way of getting a general estimate of how long you hope to keep the job you are interviewing for you, they also want to know how committed you will be in general. Interview Question 67: What is your personal mission statement? The interviewer here is assessing how committed you are to your career. Remember your CV’s headline? Make it as close as possible to that without being too general. If you can demonstrate a clear career desire that is aligned with the company’s goals, you can stand out and win the job. Interview Question 68: What are three positive things your last boss would say about you? Be honest. Say three great skills or character traits you have shown at your previous job. Don’t act all humble and avoid the question, never avoid a question. Interview Question 69: What negative thing would your last boss say about you? Again, be honest. Say a negative thing but demonstrate how you plan to work on improving it or eliminating it. Interview Question 70: What three character traits would your friends use to describe you? Don’t be too generic. Demonstrate your willingness to have fun and think outside the box. Maybe you are loyal? Good with parents? You can negotiate a good deal at a hotel when you are travelling; show things that can reflect on your career. Being great at partying isn’t a character trait. Interview Question 71: What are three positive character traits you don’t have? Just remember that no one is perfect, so it is understandable to your interviewer if you mention traits you don’t have but don’t say really bad things that could get you to lose the job. Interview Question 72: If you were interviewing someone for this position, what traits would you look for? How about tact, communication skills, and dedication?. This may be ambition, manners, creativity or ability to handle stress? The key here is to show traits that round up to make a great person and the interviewer will automatically see you have many of these traits yourself. Interview Question 73: List five words that describe your character. Choose words that relate your character to your career and possibly the job you are interviewing for. Interview Question 74: Who has impacted you most in your career and how? It shows humility if you have a mentor or someone you look up to. It also means you are looking to be inspired always, also good. Interview Question 75: What is your greatest fear? Don’t say unemployment and don’t use a fear that can scare the interviewer away, like fear of failure. Failure is a part of life and should be accepted and expected. Interview Question 76: What is your biggest regret and why? No personal details. Maybe regret not doing your masters or a certain diploma you were willing to take? Interview Question 77: What’s the most important thing you learned in school? Pick a response that features strong personal and professional qualities you still have. Don’t take too long to answer. Interview Question 78: Why did you choose your major? Again, focus on how your major ties in with the skills and experiences you are offering now. Interview Question 79: What will you miss about your present/last job? Focus on positive aspects of your job that you hope to find again with this new company as well as supportive ex-managers and ex-coworkers. Interview Question 80: What is your greatest achievement outside of work? Don’t be TOO personal but do work on relating this personal achievement with how your career is going. Interview Question 81: What are the qualities of a good leader? A bad leader? Be calm and professional. Use examples of strong leaders you have worked with and examples of weak leaders you have worked with as well as touching on what you feel are important elements of a great manager. Interview Question 82: Do you think a leader should be feared or liked? How about another choice such as “Respected” or “Admired”? State your opinion without being too emotional. Interview Question 83: How do you feel about taking no for an answer? If you are in sales, you will get asked this questions a lot. Try to involve words like manners, persistence, and ambition in the sentences. Stating that you are persistent enough but you also know when to stop before hurting the business. Interview Question 84: How would you feel about working for someone who knows less than you? Say you believe in transferring knowledge and that we all know things others don’t and that it is important to share knowledge with each other to support the business. Interview Question 85: How do you think I rate as an interviewer? Be Nice and fair and keep smiling. Don’t offend, humiliate or over flatter your interviewer. Interview Question 86: Tell me one thing about yourself you wouldn’t want me to know. Be funny if the situation allows. Don’t share information that could hurt your chances at work. Don’t get too personal. Interview Question 87: Tell me the difference between good and exceptional. What do you think the difference is? It might seem like a mind teaser but it isn’t really. What do you think is the difference between good and exceptional? Interview Question 88: What kind of car do you drive? Be truthful. Don’t read too much into it. Interview Question 89: There’s no right or wrong answer, but if you could be anywhere in the world right now, where would you be? This is the hypothetical question that is simply asked to learn more about who you are as an individual. Let your imagination run wild and answer truthfully. Interview Question 90: What’s the last book you read? Again, this is a normal question that aims to get to know you as a person not as an employee. We all love a good reader, are you a good reader? What did you read last? Interview Question 91: What magazines do you subscribe to? Same as the previous question. Just go ahead and answer it. There are no right or wrong answers here. Interview Question 92: What’s the best movie you’ve seen in the last year? They are getting to know you as a person. There is no shame in that. This shows your taste in the arts in general and wouldn’t hurt your interview at all. Interview Question 93: What would you do if you won the lottery? Don’t mention no work related solutions. Don’t say I will be a party boy or sleep all day. Show you can make good decisions. NEVER SAY, “I will quit my job”. Interview Question 94: Who are your heroes? Who inspires you? Answer truthfully. There is no right or wrong answer here. Interview Question 95: What do you like to do for fun? Again, the interviewer is getting to know you. Don’t say details that are too personal and you are fine. Interview Question 96: What do you do in your spare time? Don’t say I am working 24/7, simply because that is not the truth. Say your favorite hobby or pastime. Interview Question 97: What is your favorite memory from childhood? Again, the interviewer is getting to know you. They want to see you relaxed and comfortable enough to talk about your childhood. That is all. Interview Question 98: How would you weigh a plane without scales? This is meant to test how you can think outside the box. Because there are no wrong answers here you can use humor and give a silly answer or be pragmatic and say you will have to look it up online or if you know your physics well, you can give a scientific response. Interview Question 99: With your eyes closed, tell me step-by-step how to tie my shoes. Do just that. Don’t get surprised and lose your words. Close your eyes and give step by step instructions on how you tie your shoes, you do it every day, right? Interview Question 100: If you were an animal, which one would you want to be? This is meant to test how to act and respond when you are surprised. Be quick on your feet and give an answer. There are no wrong answers here, it is meant to test your reactions. You don’t have to use the answers as they are. Just be creative and add your own spin to the answers and also depending on the situation. 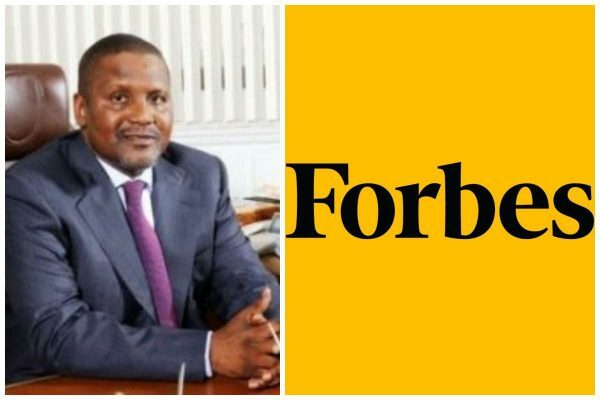 Here is the recently released Forbes list of the top 21 richest men in Africa for the year 2019. The list was released today January 9th, 2019. The Forbes list, which was released on Wednesday revealed that there were fewer and poorer billionaires on the African continent in 2019. Another Nigerian, Folorunsho Alakija was one of the billionaires, who suffered a drop in their net worth between last year and this year, as she held No 19 on the 20-man list. Forbes report that, Alakija’s net worth dropped due to a decline in the value of one of Nigeria’s most productive oil fields. It is claimed that the decline can be partly blamed on the fact that the oil field’s production had levelled off. Mike Adenuga, the owner of Globacom, emerged Africa’s 5th richest man. Others are Nigeria’s cement mogul Abdulsamad Rabiu, who runs and owns the BUA Group, standing at number 16 on the list for the first time since 2015. They come in a variety of sizes and colors — including orange, white, and purple — and are rich in vitamins, minerals, antioxidants, and fiber. Not to mention, they provide a number of health benefits and are easy to add to your diet. Here are 6 surprising health benefits of sweet potatoes. Sweet potatoes are a great source of fiber, vitamins, and minerals. Free radicals are unstable molecules that can damage DNA and trigger inflammation. SUMMARYSweet potatoes are starchy root vegetables that are rich in fiber, vitamins, and minerals. They’re also high in antioxidants that protect your body from free radical damage and chronic disease. The fiber and antioxidants in sweet potatoes are advantageous to gut health. Your body cannot digest either type. Therefore, fiber stays within your digestive tract and provides a variety of gut-related health benefits. The antioxidants in sweet potatoes may provide gut benefits as well. Test-tube studies have found that antioxidants in purple sweet potatoes promote the growth of healthy gut bacteria, including certain Bifidobacterium and Lactobacillus species (15, 16). Greater amounts of these types of bacteria within the intestines are associated with better gut health and a lower risk of conditions like irritable bowel syndrome (IBS) and infectious diarrhea (17, 18, 19). SUMMARYSweet potatoes contain fiber and antioxidants that promote the growth of good gut bacteria and contribute to a healthy gut. Sweet potatoes offer various antioxidants, which may help protect against certain types of cancers. However, studies have yet to test these effects in humans. 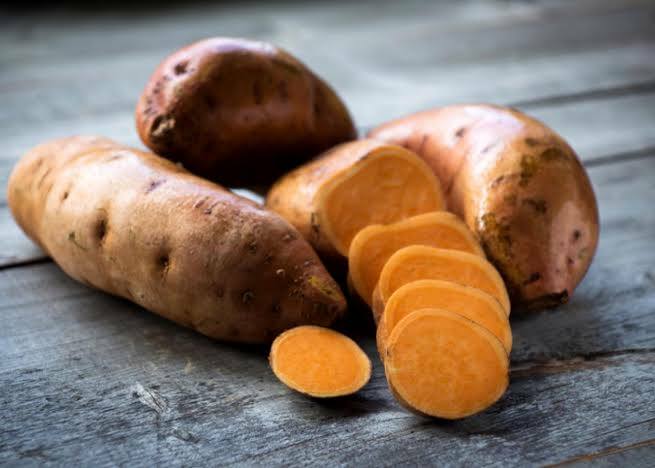 SUMMARYAnimal and test-tube research suggests that the anthocyanins and other antioxidants found in sweet potatoes may protect against certain cancers. However, human studies are needed. You might want to ask, what is the best domain name for Nigerian Bloggers? The answer isn’t straightforward but I will try to give you a guide on this. In this post, I will guide you on how to choose the best domain name if you are a Nigerian blogger. Choosing a good domain name could be very challenging. If your target audience is Nigeria, I will advise you to use a .com.ng or .ng domain extensions. This is because the country-specific domain has a ranking advantage in the country it’s domiciled. That is… A .com.ng or a .ng domain ranks better in Google in Nigeria than .com, .net or .org provided all other ranking factors remain constant. When I talk about other ranking factors, I mean, great contents, backlinks, site speed and other search engine raking determinants. On the contrary, if you are targeting the United States or international audience, I’ll advise you use a .com domain extension. 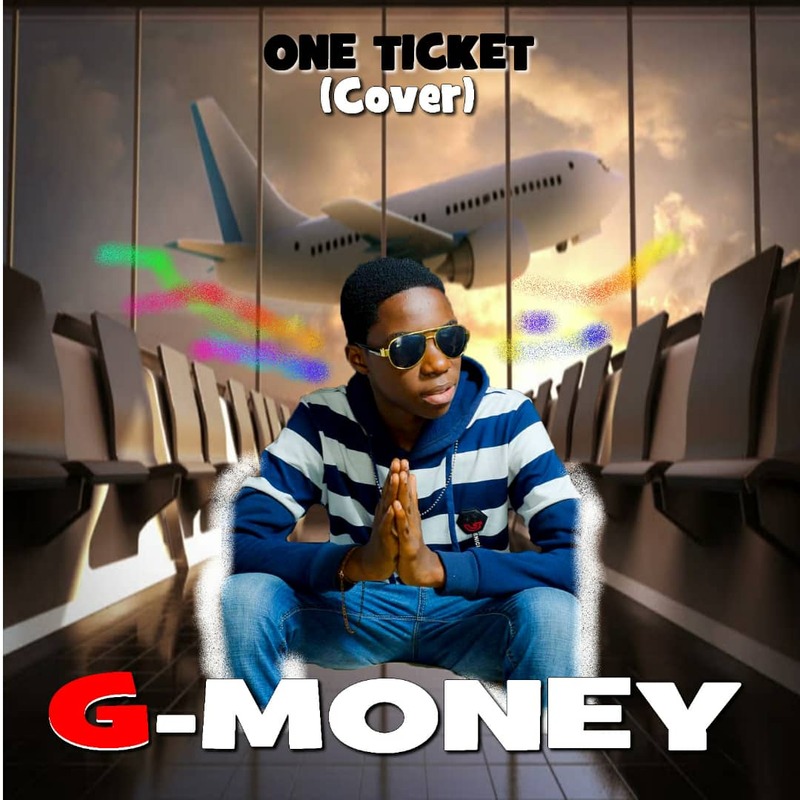 It has a global reputation and can rank well in any part of the world especially if you have good contents. So, while creating a Google AdSense Earning Machine, remember to choose domain extensions based on your target country. If you are blogging in Nigeria and your target audience in Nigerians, I will advise you to buy a .com.ng or a .ng domain and use. See How much to register a domain name in Nigeria. Once you buy your .com.ng or .ng domain, you can host it with Bluehost, SiteGround or Godaddy. These three web hosting companies can host your .com.ng or .ng domains perfectly. Like I always, saw, you can use a .com domain to target any part of the world including Nigeria. But if you are writing for Nigeria only example, “jobs in Nigeria” or “Nigerian Foods”, I will advise you to use Nigerian based domains. These are .com.ng or .ng domains. They will rank better if a user searches on your keyword in Nigeria. the process of domain registration in Nigeria is easy. Simply visit the websites of some domain name registrars in Nigeria. I mean domain registrars that have the authorisation from ICANN. These are Upperlink, Whogohost, DomainKing, Registeram, and Web4Africa. These companies sell .com.ng or .ng and other related Nigerian-specific domain names. The cheapest domain name in Nigeria is .com.ng domain. You can buy this domain at the rate of N1250 or less. However, you can get a .com domain for less than N400 if you use a coupon code on Godaddy website. That is it on Best Domain Name for Nigerian Bloggers – .com.ng and .ng VS .com, .net, .org. If you need help in registering a domain name or hosting your blog or website, kindly hire me (08131035860). I will be happy to work for you. This guide is also useful for people who want to create a website for a Nigerian based business.